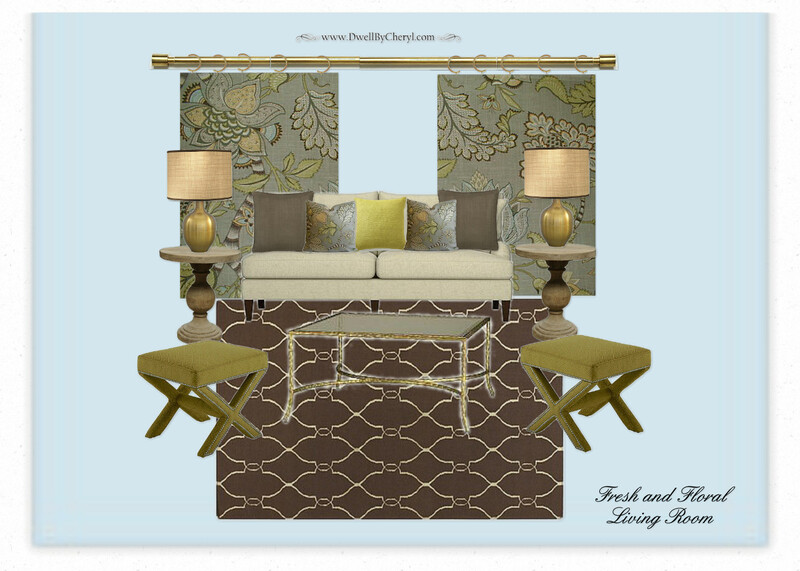 Dwell by Cheryl: "A Cool and Crisp Color Palette"
So, I thought I'd give you a little peek under the tent of my latest client project. I'm really excited about this one. Seems like I always am, right? I guess that's a good thing. The client recently moved and is anxious to create a new home in the fab new dwelling place. We're going for a cool clean and crisp look in this space. We're beginning by cooling off the color palette a bit with these crisp hues. ...or something like that. We'll actually be working on an adjoining living and dining room, but for now I'll just give you a feel for the direction we're heading in the living room. Now it's off to start on my weekend projects. Next week's blog content awaits. Until next time, have a great weekend! I love this color pallet. You might have just made my next painting project a little easier. Lol. I love these cool color combinations. I am looking forward to the results. I also like the armless couch on the inspiration board. I am considering that for my next move.